Have you ever wanted to know how Cubic Zirconia stones are made? When you want to buy or wear beautiful jewelry, but the cost or risk of owning it isn’t practical for your lifestyle, purchasing a gorgeous CZ instead can be a fantastic option. As beautiful as these stones are, many people don’t have a clue how they are made. Whether it’s because they hadn’t thought much about it, or they just assumed that they are formed through pressure and time like diamonds, the actual process is quite fascinating. 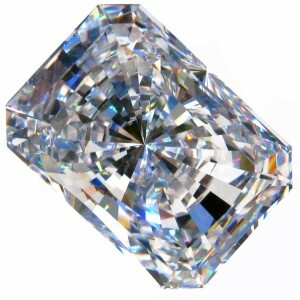 Perhaps that is why they are so stunning and hard to distinguish from a naturally-formed diamond. While most people know that diamonds are made from pure carbon, the stone designed to compete with this highly-desired rock is formed from a base of high purity zirconium oxide powders. It is combined with small amounts of calcium and magnesium for stability. There is a highly specific science behind the mixing of the raw materials that form cubic zirconia which allows the engineer or lab to replicate the look of specific types of diamonds. This includes the attributes of color and clarity. The results form one of the most striking and exquisite man-made gems so much like the real thing, that often a person cannot differentiate them from the real thing. Awesome! Once the raw materials have been carefully combined, they are then manufactured through one of three production methods; solution growth, melt growth, or a high-pressure, high-temperature growth method. Although CZ stones are most often associated with diamond lookalike jewelry, they may be used to create a number of different types of gemstones. Though the timeline for creating a gorgeous CZ gem will depend on which method is used to create it, compared to naturally-made minerals, they are completed at near-lightning speeds. Diamonds take many, many years to form. Expertly manufactured gems may be created, cut, and set in a few short weeks. The reason why the gemstone industry is so big on using CZ stones is because of their strong resemblance to an actual diamond when it comes to strength, hardness, gravity, and refractive index. As a very dense substance, its specific gravity lies in the range of 5.6 and 6.0. This is just over one and a half times that of a genuine diamond. Its hardness is also comparable, registering 8 to 8.5 on the Mohs scale (a diamond lands at a 10). As a near-perfect replica of its carbon-based counterpart, a cubic zirconia stone is one of the best ways to make duplicates of truly valuable pieces of jewelry. Using replicas is popular when there is a high risk of it being stolen or coveted by thieves. 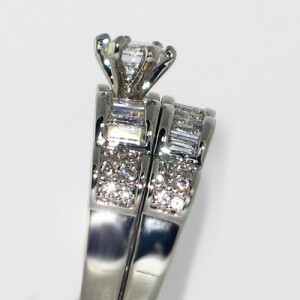 For the average person, it provides a means of obtaining a truly exquisite jewelry item at a reasonable price. Cubic zirconias may be made in a laboratory, but they are most definitely a stunning choice for any type of precious jewelry; especially when set on a band of equally precious metals. Diamonds may be a girl’s best friend, but a carefully manufactured CZ stone is worth more when you consider its aesthetic value and the considerable difference in cost.